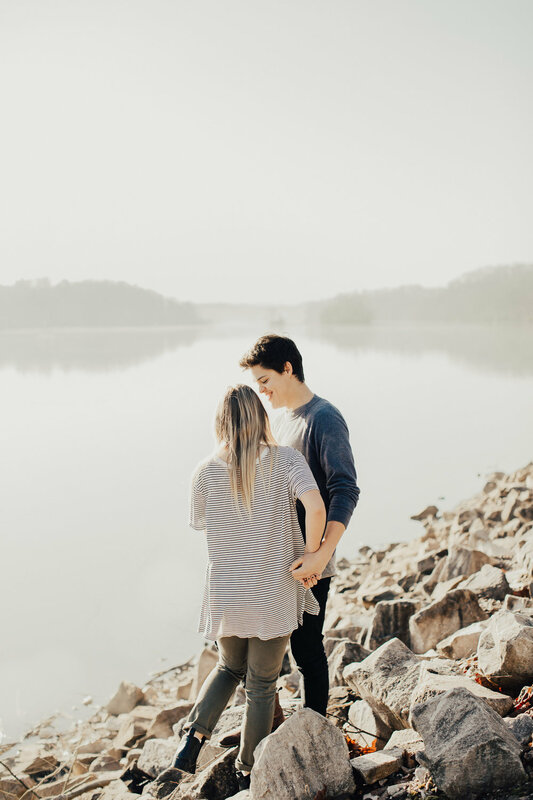 allie + taylor || knoxville engagement session. a few weeks ago, i put a model call out for one of my branding jobs here in town looking for an adventurous, madly in love couple. allie, one of my instagram friends and fellow photographer reached out letting me know that her and her fiancé were available. these two were recently engaged and their sweet love for each other reminded me of why i love documenting love stories. our morning was spent in the fog, watching the sunrise over the water with the smoky mountains in the distance. these two made my job easy. this is allie + taylor.